A hidden, interactive museum filled with antique animatronics, pinball machines, self-playing pianos, slot machines, mechanical arm wrestling matches and classic arcade games. In a city of new technology, these arcade games from the 1900s - 1960s are relics of the distant past. For just $0.25, you can play each one of them. See them before they fall into disrepair. Pier 45 in Fisherman's Wharf in San Francisco, CA, USA. Map. WELCOME TO ONE of San Francisco's best kept secrets. 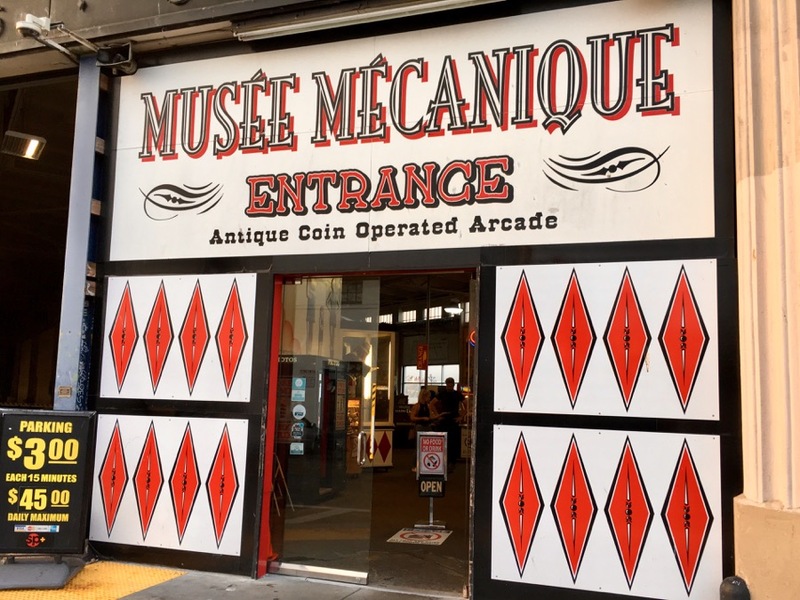 The Musée Mécanique features over 300 coin-operated arcade games from the early to mid 20th century. And best of all, admission is free, so head inside and wander. 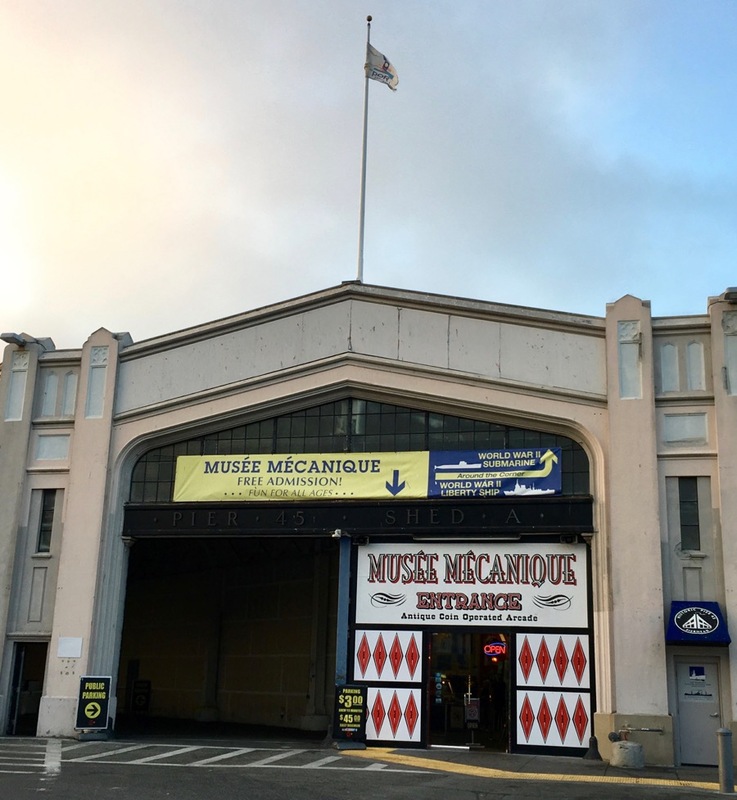 The Musée Mécanique has everything from antique grip strength games to heirloom juke boxes to peep show machines. Since everything can be played for $0.25 or $0.50, you'll want to have a couple of quarters in your pocket. You never know, maybe you'll want to have your fortune told by a mechanical genie, listen to a Wurlitzer sing "Yankee Doodle" or beat your Skeeball top score. 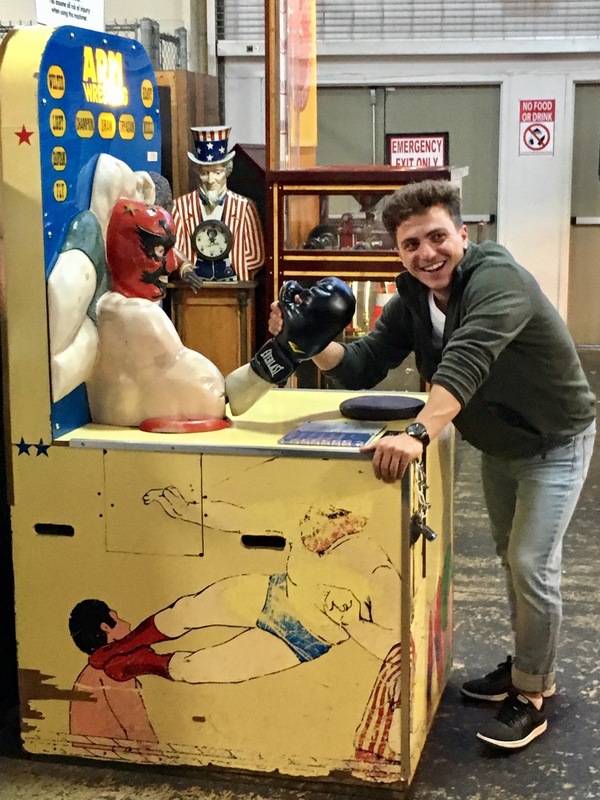 Even decades later, the masked arm wrestler remains a formidable opponent. 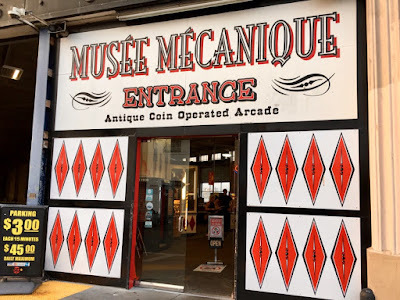 What most people do not realize is that the Musée Mécanique is 100% a labor of love. The Zelinsky family that runs the museum also acquires and maintains the machines, delaying their inevitable extinction. For just a quarter, you can have your palm read, your romantic prowess revealed, or peek at a gag peep show. 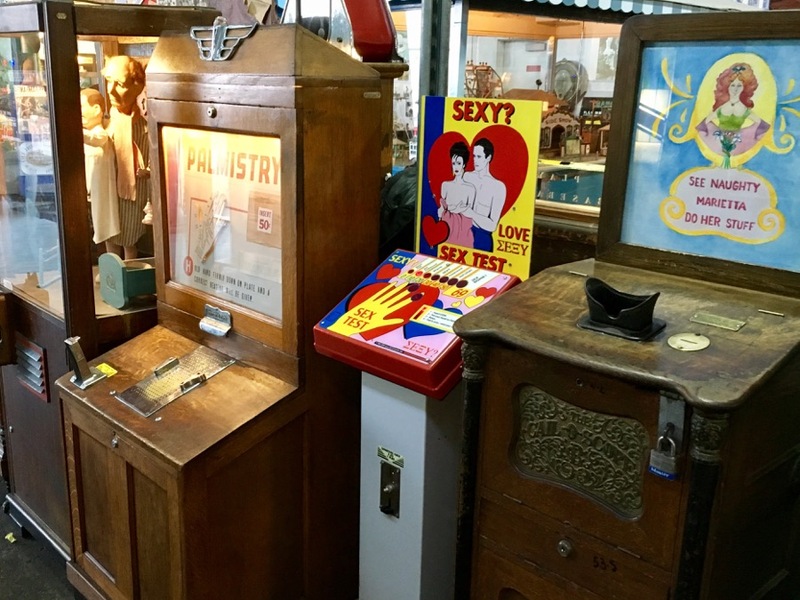 At one point in the past, these mechanical arcades were pervasive fixtures at county fairs and ocean boardwalks. When the digital age arrived, these arcade games became obsolete and were retired or forgotten. 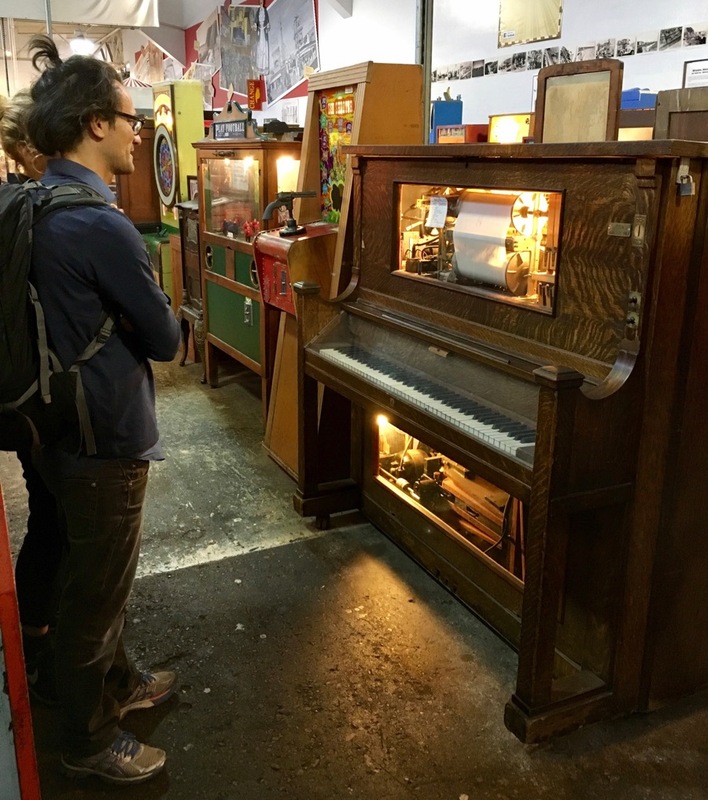 The self-playing piano performs for anyone willing to listen. There was a time and place for these kinds of machines - one that we will never experience again. 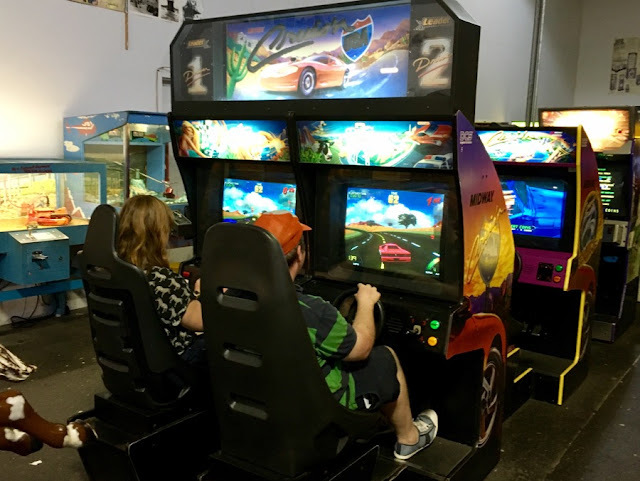 This car racing game and a select number of other 'modern' arcade games have found their way into the Musée Mécanique. There are several ways to get to Fisherman’s Wharf, tram line (E&F), Muni bus, cable car (either the Powell-Hyde or Powell-Mason lines), car sharing service or taxi. Jason is the co-founder & CEO of Sidewalk, an app that provides guided neighborhood guides and itineraries that are created by anyone with stories to tell about the places they know and love. Jason has traveled to 38 countries and is constantly in search of local history, quirky architecture, tasty dim sum and skyline vistas.